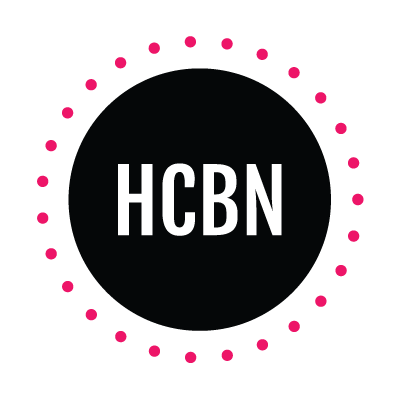 If you have been reading this blog for a while, you may recall that I bought a Nutribullet last year and absolutely loved it. 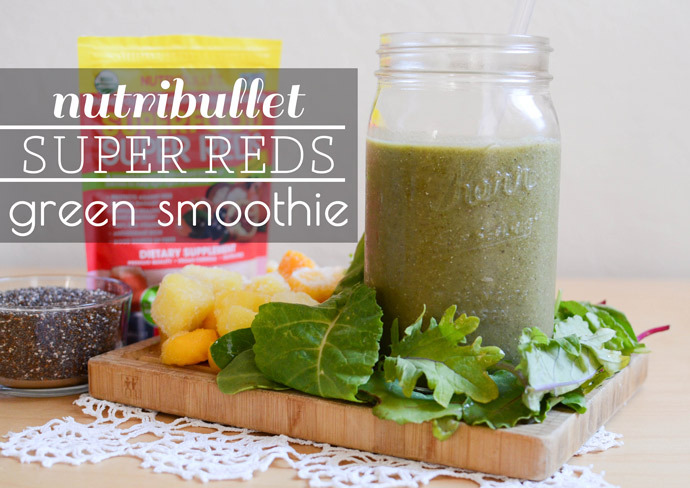 Well, I am happy to report that I still love my Nutribullet and have actually teamed up with the Nutribullet company to bring you more smoothie recipes & photos! 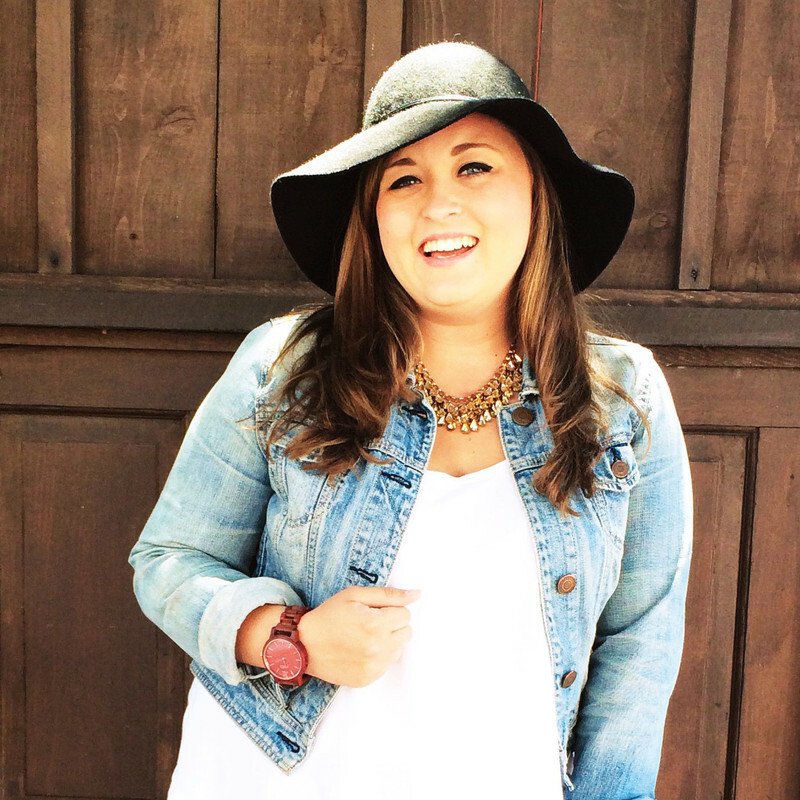 You can imagine how happy I was to be contacted by a company whose products I already use and love! So, I am here today to share with you a new recipe that I concocted and I hope you enjoy it! 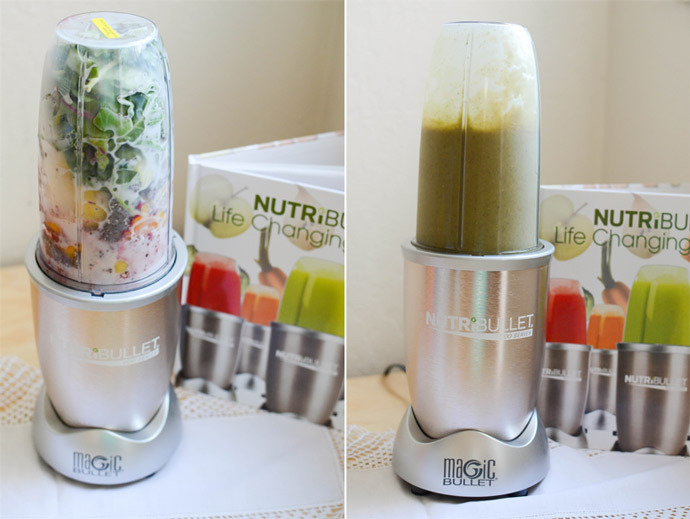 While I already owned the classic Nutribullet, I was quite surprised to come home one evening to find a brand new 900 Series Nutribullet on my door step! The 900 Series is more powerful than the classic model and comes with a bigger blending cup, plus an extra blade set for your convenience (which is a definite bonus for me!). So far, the 900 Series has been a game changer! Though I adore my classic model too (that happily lives at Dai's house now), I would sometimes have to be strategic about the way I packed my smoothie contents into the cup. The 900 Series has no problems blending up whatever I put in there with a breeze! 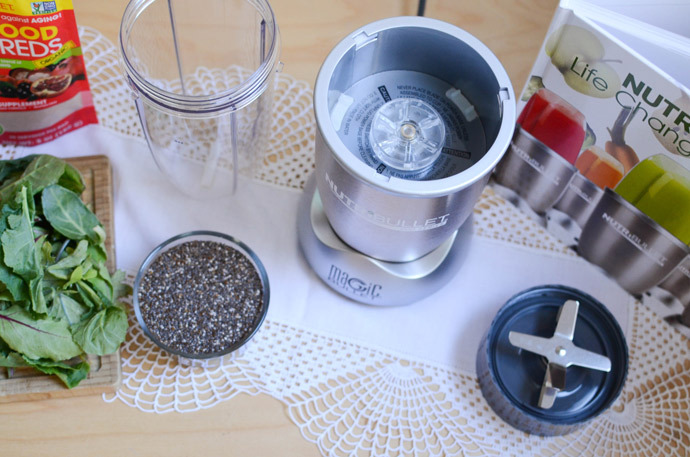 With most smoothies that I make, I have a sort of formula that I follow. 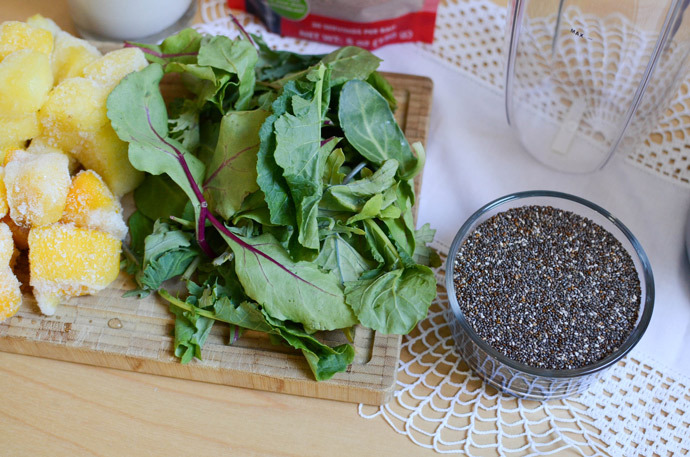 There are usually a nice heaping amount of greens, a variety of fruit, and a liquid (generally almond milk). If I am feeling fancy, I will add some chia or flax seeds. And that's about it! 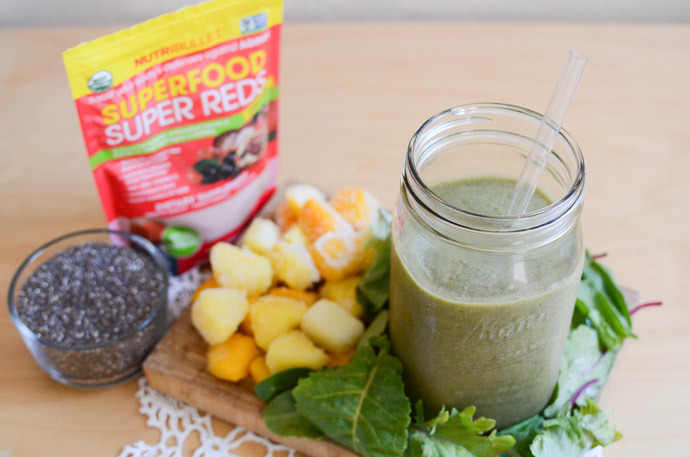 I prefer to keep my smoothies fairly simple, BUT I have always been intrigued by the line of SuperFood mix-ins that Nutribullet has developed. 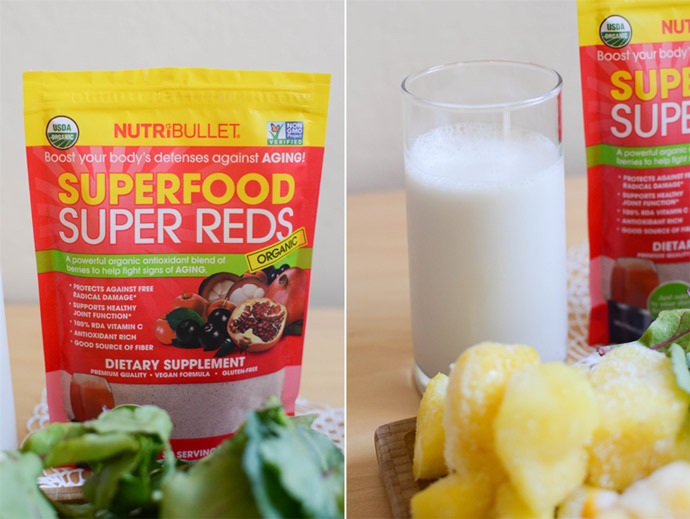 There are so many to choose from and I find many of them interesting, so I was very pleased when I received this package of SuperFood Super Reds mix! It is a nice blend of powerful antioxidants from berries and red fruits, and is organic and non GMO. 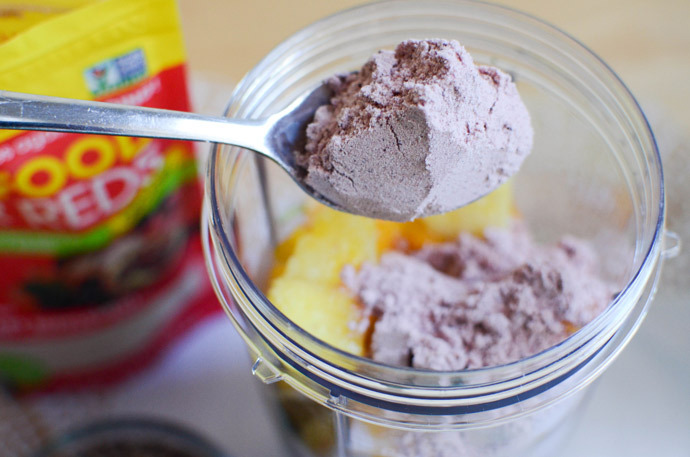 When constructing my smoothies, I usually place the greens and non-frozen fruit in the bottom of the cup, and work my way up to harder things, like frozen fruit or nuts if I choose to add them. I definitely recommend this method because 1) it can be tricky to screw the blade lid on if the greens are on top and 2) I think that things blend nicer when the harder ingredients are closer to the blade. 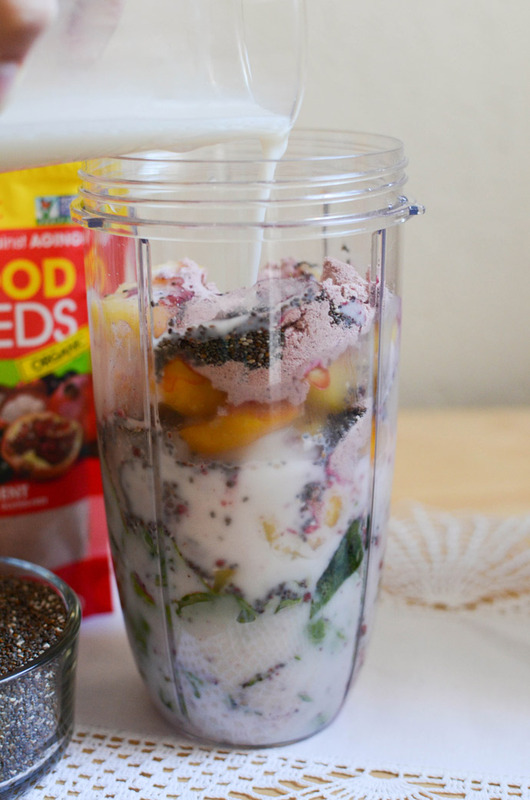 Then, I top with chia seeds and add some almond milk! 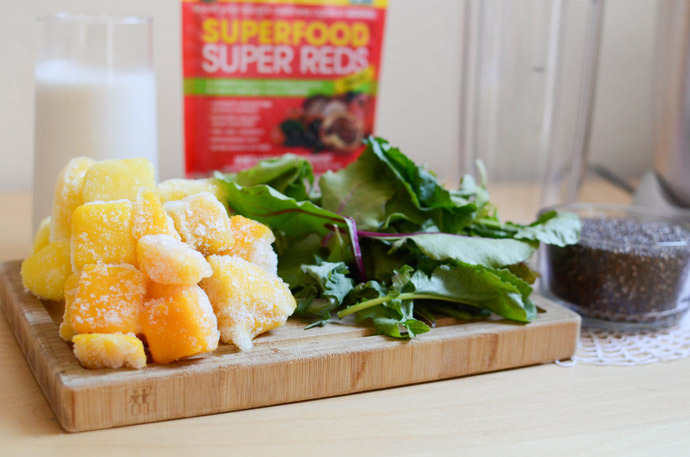 You can definitely use a different liquid if you prefer, like coconut milk, regular milk, or coconut water. Other seeds or nuts would also be a great addition for some healthy fats. The finished, yummy product! Pour it in a cup and add a straw or use the to-go pop top lid that comes with the 900 Series set, and you're good to go! 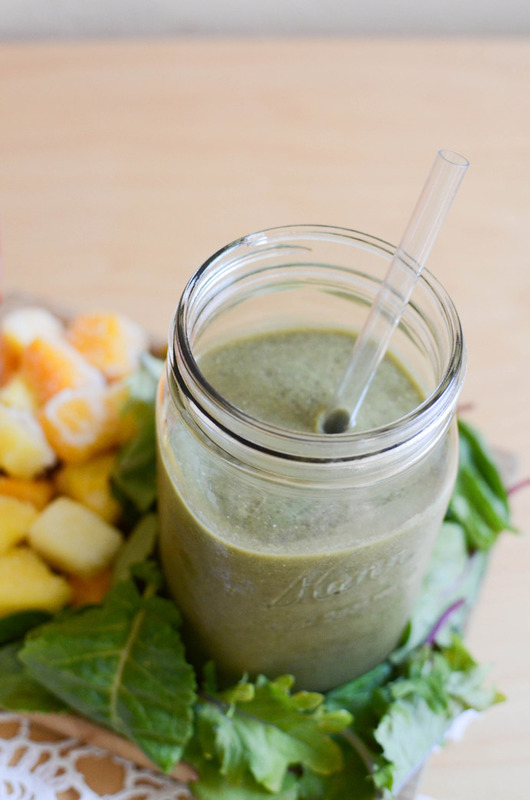 I love smoothies as a nice on the go breakfast, a quick lunch, or a refreshing afternoon snack! I feel especially good about this choice when I know that my smoothie is filled with healthy nutrients that are good for my body. 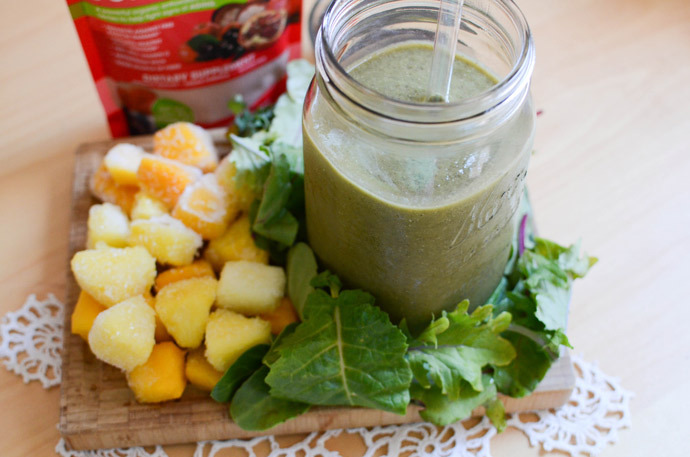 I hope you enjoy this smoothie recipe! 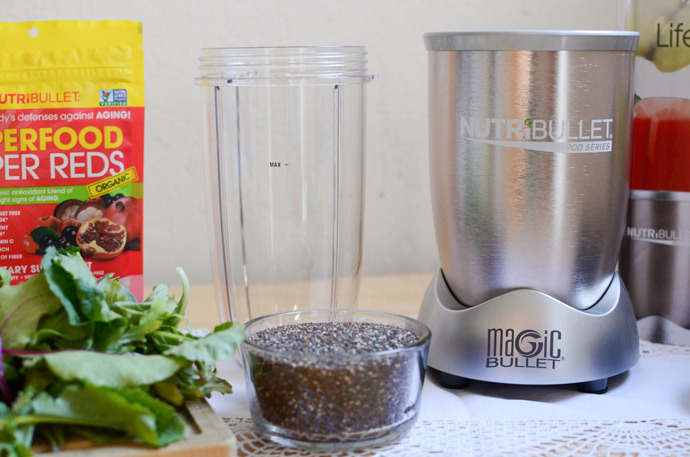 Do you have a Nutribullet? 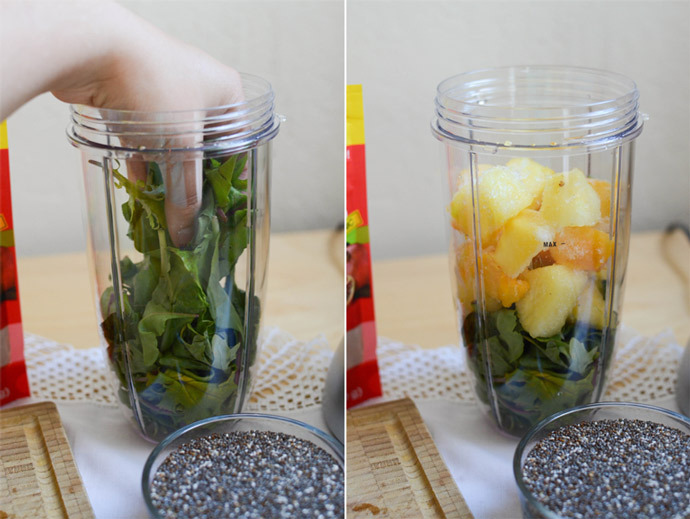 What are your favorite things to put in your smoothies?